Charitra Suvas – Building your child’s character!! My school was a quasi-Gurukul. 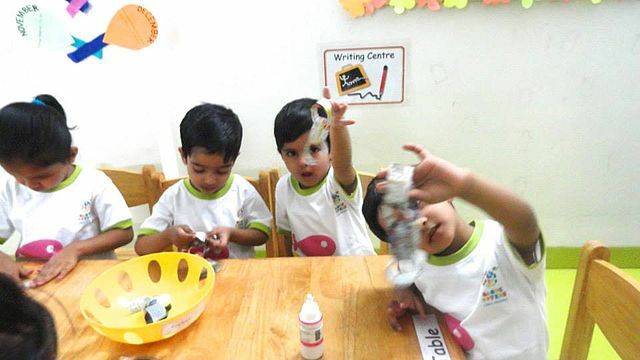 In the first standard, we had 7 academic subjects (English, Hindi, Gujarati, Science, Math, GK, Social Studies) and extra-curricular subjects like cookery, skating, yogasana, drawing, craft, nutrition. And, we couldn’t ignore these non-academic subjects. Like the regular ones, we were required to appear for a 100-mark paper for them too. So, in the craft test, we have been asked to show how to make a ‘blanket’ or ‘feather’ stitch and in cookery subject, we had both practical and written examinations. Yes, we were required to remember the recipes with ingredients. No wonder, I not only knew how to spell asafetida, but also knew what it meant, at the age of 6. We had one more extra-curricular subject called Assembly, which was generally taken by the principal of the school. During the period, she would read stories from a book called Charitra Suvas which literally translates to “Fragrance of the Character” and then hold discussions. 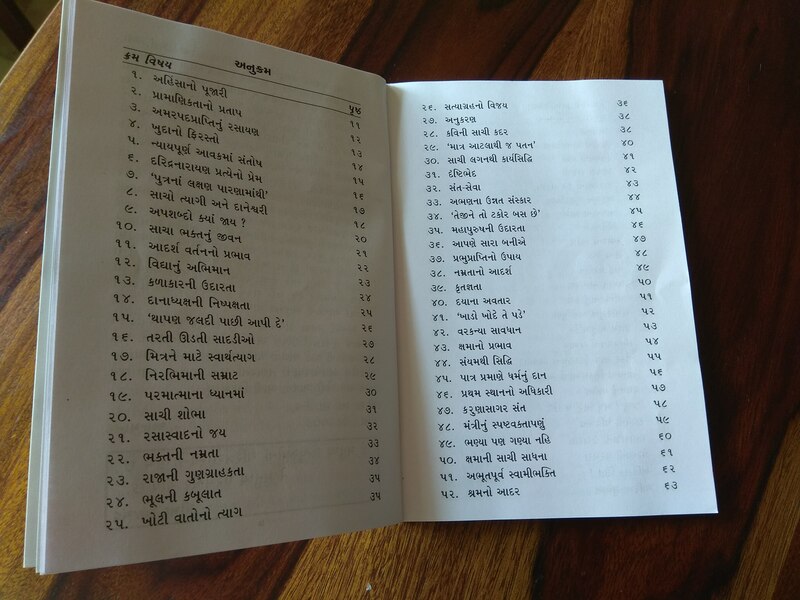 It was a small, thin book in Gujarati, that was a compilation of 70+ short real-life stories from around the world. These stories narrate simple but thought-provoking incidents from the life of great human beings. And just like Panchtantra and Aesop’s fables that end with a moral, they help to build the character of young impressionable minds. A few of them have stayed with me even after 30 years. A few days ago, I just remembered one of them and narrated it to my daughter. She loved it. Seeing her evident pleasure, I decided to get the book. Interestingly, the book is printed by a certain ashram in Koba, near Gandhinagar and is sold through only 1 book shop in Ahmedabad, Gujarat. As the book shop refused to send it to me even after my request to pay them the shipping fee, I had to request my brother to buy the book and post it to me. 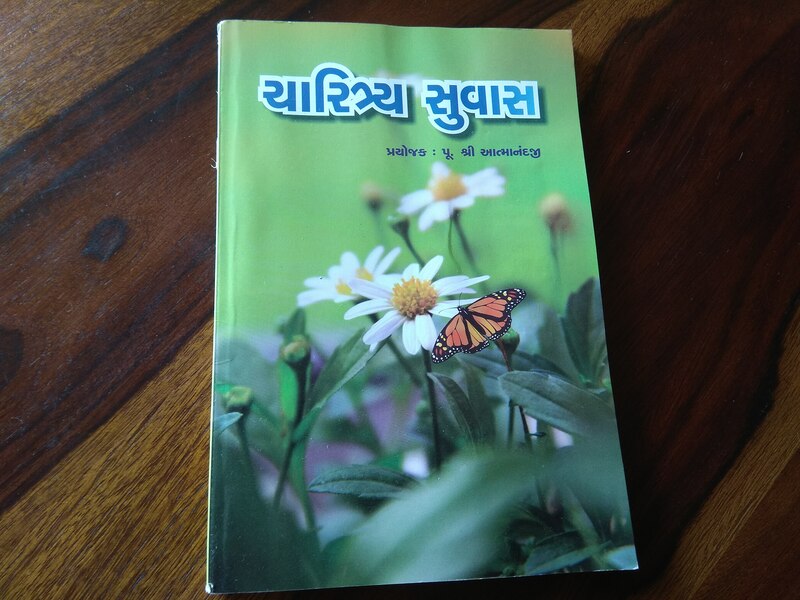 The book is available in Hindi and Gujarati and costs Rs. 18 Rs. 20 respectively. So, finally I received the book. On scanning through it, I was happy to find that it hasn’t changed in all these years. My daughter was a little disappointed though to see that the much-touted book was in Gujarati as she doesn’t understand the language yet. We will get there one day! For the moment, I am planning to narrate her one story every day. I am happy that my daughter is listening to the same stories that I have grown up listening to. Ramabai at last understood what her husband was trying to tell her. Narrating the beautiful stories from Charitra Suvas is my step towards building my child’s character. Hope I am successful at it! What do you do to inculcate moral values in your child? 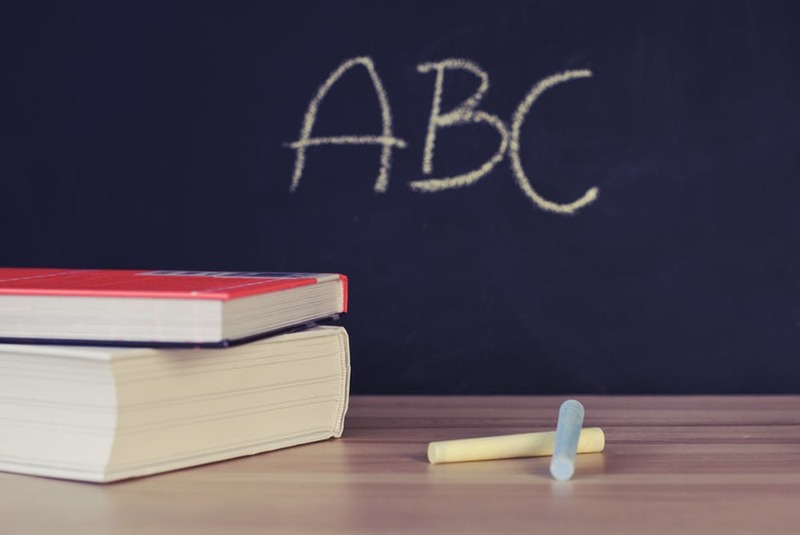 Should Your Child Be Taught In Her Mother Tongue? Does your child have a young mentor? Wonderful..hope to do the same some day soon wid my daughter..? hi can you advise which shop in ahmedabad its available? Hi Nirmi, it’s available at Tushar Book Depot at Capital Commercial Center, Ashram Road. Hey, I too studied at Amrit Jyoti and Charitra Suvas had been one of my fav read. A must for kids in early age.. Thanks for sharing book shop name..I will get it for my kid ☺? Glad, I could be of help to you. Yes, it was one of my fav books too. In which year did you pass out?